Today was a beautiful day. I needed to do some work on my computer, but I kept looking out the window at the blue skies and warm sun. Snapping the laptop closed, I put on my coveralls, work boots, and headed outside on a mission. There's a pile of debris in the side yard that's been building since spring. Whenever limbs break in the wind, I drag them to the burn pile and throw them on. At first it was just a few limbs, leaves, and some wood scraps left over from replacing the kitchen floor and adding the closet. But the summer was dry, and there wasn't much rain until late fall. At any rate, the pile kept growing and became an eyesore. We got four inches of rain this week, so the pile was slow to catch on. I teased it with some starter fluid that I use on the grill, but even that didn't help much. But with that much wood, if you continue to feed it with dry straw and small twigs, it will catch on. Jilda brought me a glass of sweet tea, and I sat in my lawn chair to watch the pile and encourage it from a distance. Then, just as I was about to go buy some diesel fuel, the fire slowly grew. Caillou strolled up to supervise to make sure things were in order. There is a log that's been at the base of the pile since the tornadoes swept through in 2012. I wasn't sure if fire would ever fully consume it, but the slow-burn today did. I walked out a while ago to make sure it was contained, and it was little more than ashes. Sometimes a little manual labor is good for the soul. Nice shots! We have a pile of branches and the like that we burn every year as well--makes quite the fire! Sometimes the manual labor helps, that is for sure. BUT to me an outside fire, settles the soul. Sorta like a water fall. Hope the day is great up that way. You are so right Jack. I get lost in the embers of a fire. 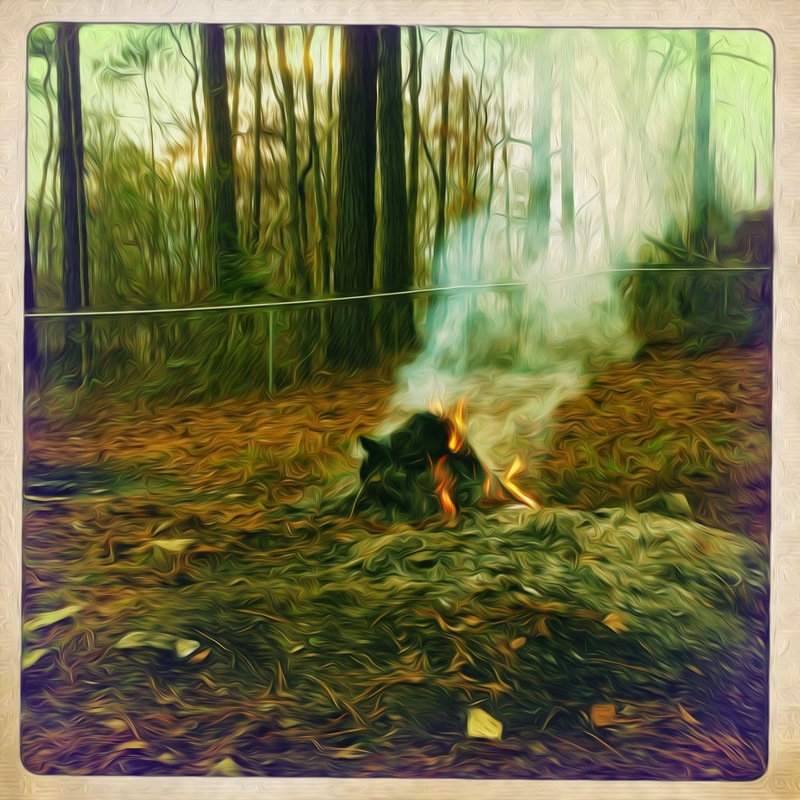 It's like a burning away of the past year's debris to make room for the new year. And so is a good (contained) fire. Love the last pic with that effect that you do. Thanks Hilary. 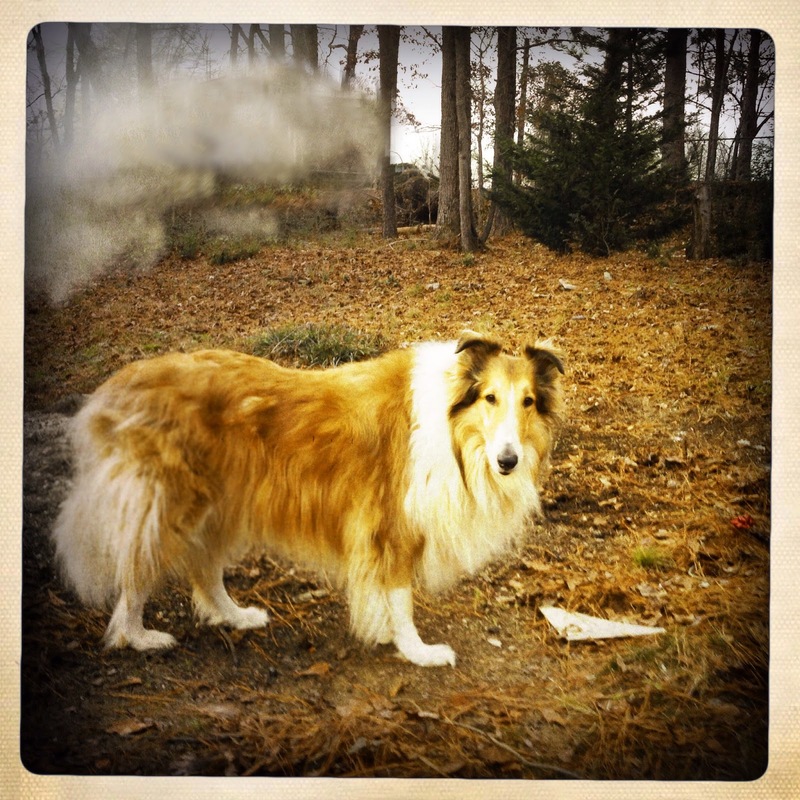 I shot that picture with my iPhone and used the Hipstamatic app. A job well done brings a sense of accomplishment. :) Thank you for visiting my blog. 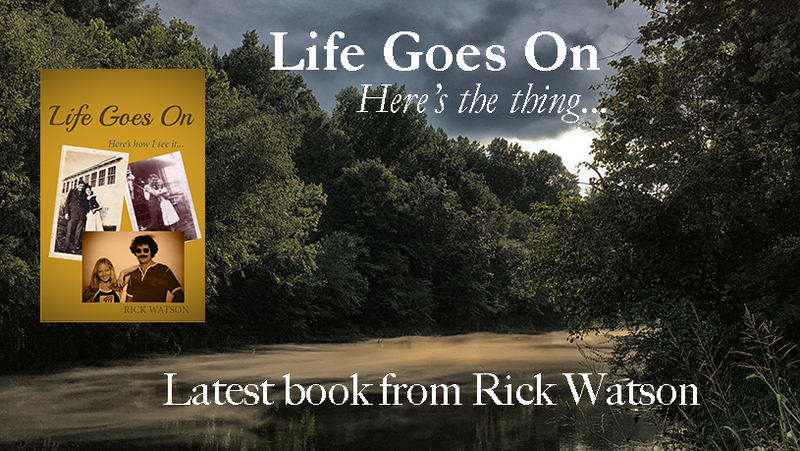 Thanks Rick, may 2015 hold everything that is good and peaceful for you and Jilda, and there's nothing like building a fire to watch over and get lost in. Sounds like a perfect day. The laptop can wait 'til the labor is done. You did good. I love the aroma of wood smoke as well. Thanks for visiting Anni. I like the light in the photo of Caillou. I love roasting marshmallows on wood fires. It can be a lot of fun to roast hotdogs too. Now your old pile of branches is all gone and you feel better about it. i'd say it was a very successful day. Now Rick, I think I'm caught up with your blog. I'm too tired to do my own post. Got another heifer calf this afternoon, the 20th since November. always good to get the burn pile burned. :) we have one that's been building for 2 years, again. thanks for coming by today! appreciate it! happy new year to you and yours! Two years smouldering in a current of compressed time and rising in a pillar of smoke. That's a photo I'll keep in memory. That's a symbol. Well done, you. Your thought adds a whole new aspect to the photograph Geo. Thanks for the visit, kind words and follow. I used to love when we burned leaves in the fall, but we can't do that any longer...they made it illegal, so they could protect the environment. We do have fire pits though, so we get to burn logs outdoors. I love the smell mixed with the fresh cold air...I have fond memories of leaf burning from when I was young.